Staircases are an essential architectural feature of any building. You need to design staircases keeping one eye on the safety and wellbeing of your family members and another on the beauty of the design. A skilled architect can help you choose the right kind of stairway. 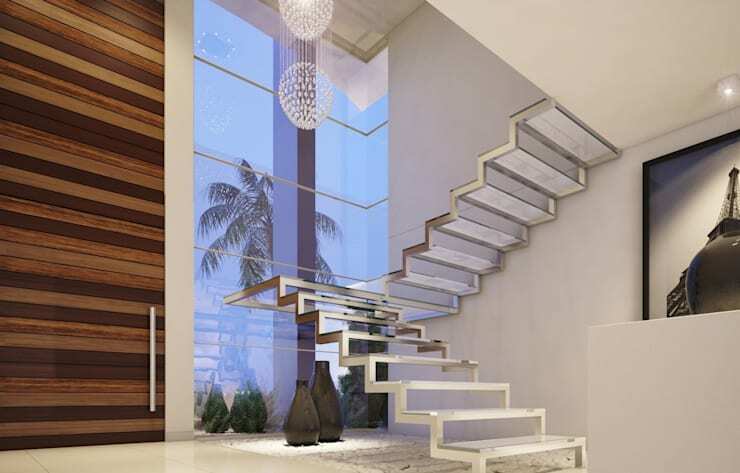 We present you with some amazing staircase designs to take inspirations from. Don’t underestimate the power of exposed concrete stairways. They could help you design a trend setting home. Besides, they are built to last long. 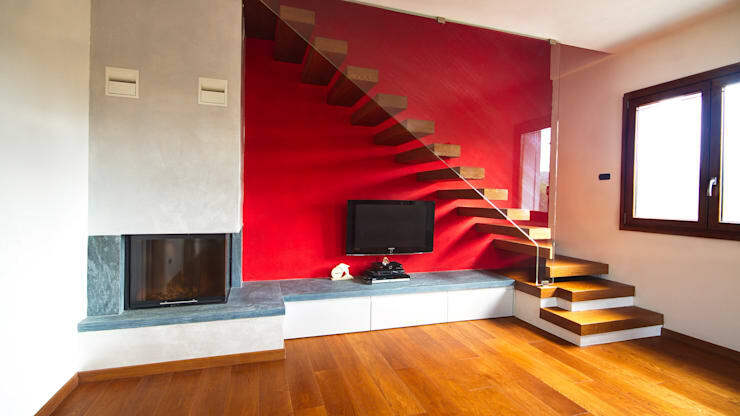 Try to combine different materials like concrete steps with wooden carpet or metallic railings for a greater impact. 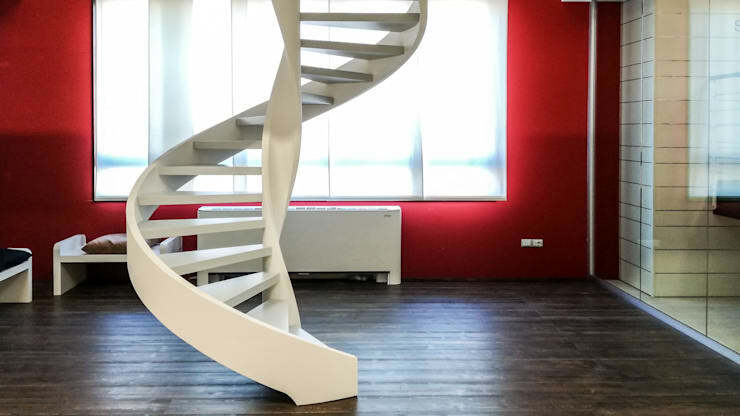 Do you know that staircases can be designed as a floating sculpture? 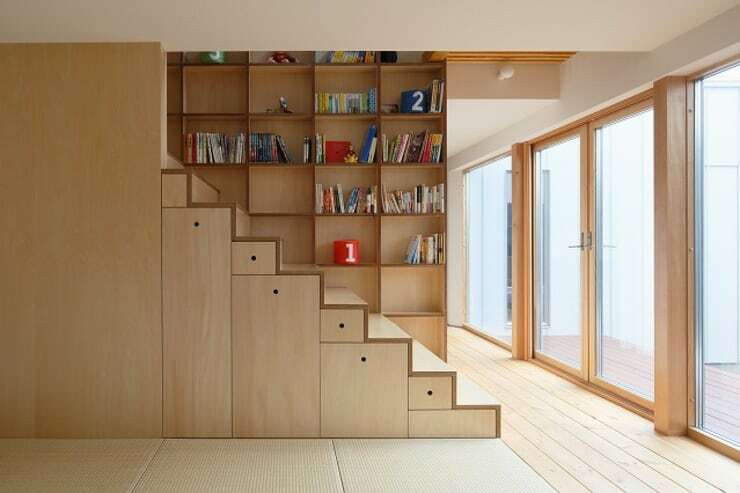 Have a look at this stairway design which adds character to the study area of the spacious living room. Its design makes it stand out from the rest of the feature of the interiors. Storage stairways have been a staple of many classical homes. Their necessity has only grown with time. Now you can effectively unclutter some of the clutters of the interiors by designing such a beautiful storage system as this house on the image above. We don’t seem to experiment enough with the colour scheme of our staircases and hallways. Change the colour of the walls of this part of your home and see how it immediately injects life in the ambience. You may add ravishing red or muted brown. The choice is yours. Don't forget to design a chic entryway to complement the beauty of your staircases. Choose the right kind of material to build a sturdy staircase. You may choose from natural wood, reinforced glass, concrete or stone. Remember, this space is notoriously difficult to renovate. So have discussion with your architect and try to choose the right material for the stairs. We often insist on choosing a simple design. 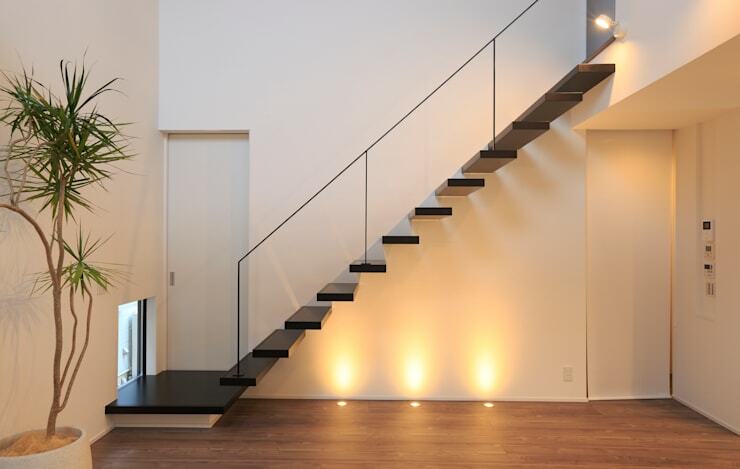 Look how this simple staircase effortlessly glams up the interior. 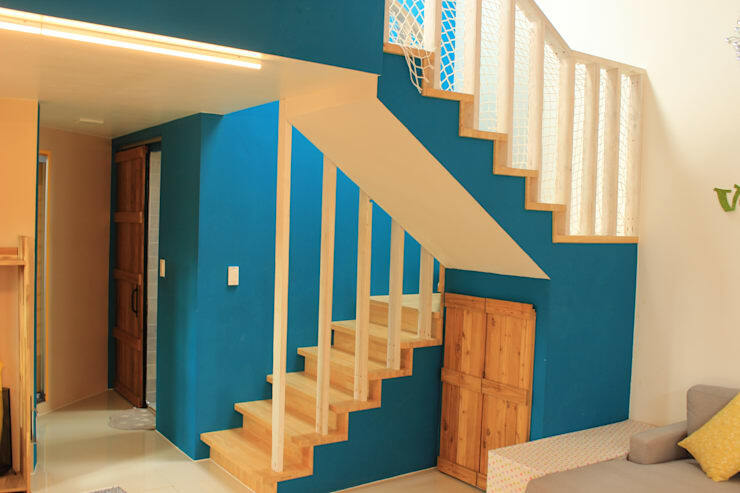 You also have the option of investing in pre-fabricated stairways which turn out to be a more cost-effective solution for many homeowners. 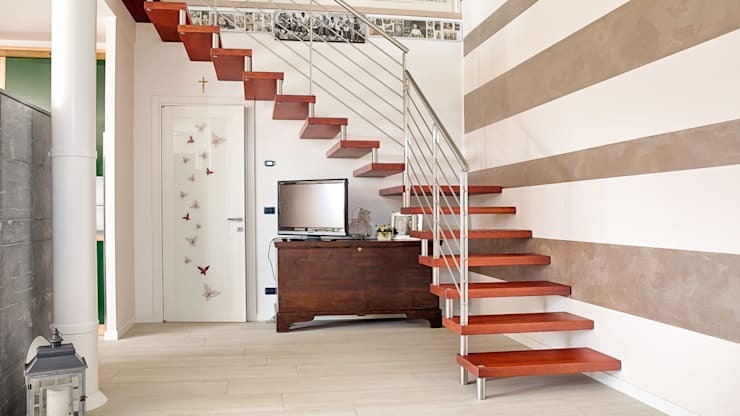 To design staircases in a modern setting, choose a style that is simple and boast of a clean form. Install step lighting or pendants to brighten up the space and avoid any kind of accidental fall in this part of the building. 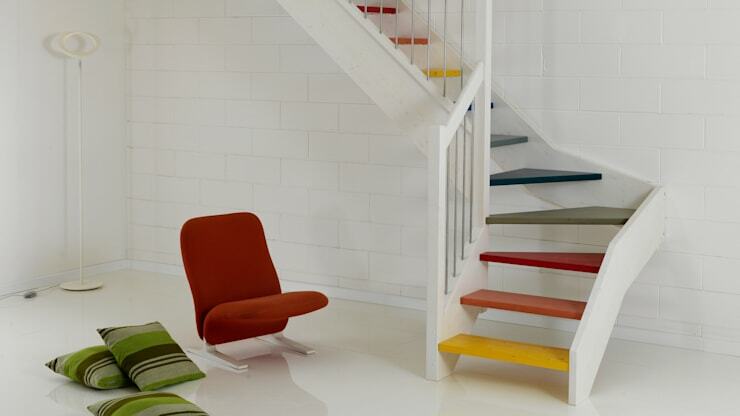 A rainbow of colours makes this stairway distinguishable from other similar designs. You may seek the opinion of an experienced stairway designer to choose a design that looks best in such charming colours. Solid wood is a timeless choice for the stairways. You may install wooden staircases made of maple, cedar, birch, mahogany and walnut. You may also combine natural wood with stone or concrete to design an elegant staircase. 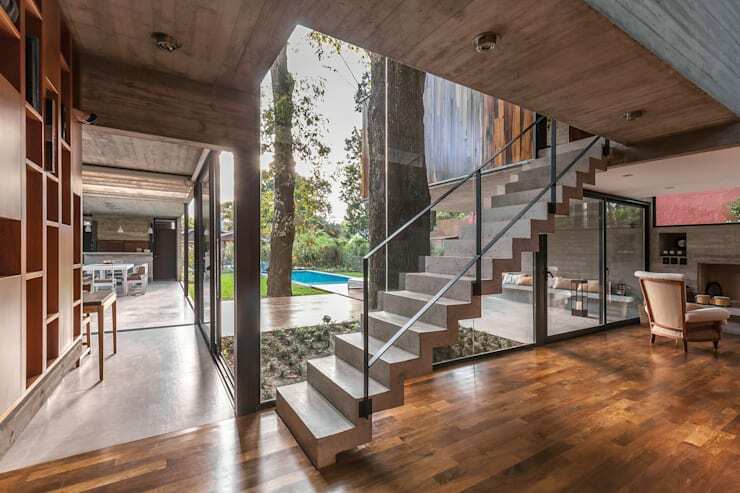 The staircase of this house is designed using wood and shiny metal. It blends well with the rustic surrounding. A simple seating arrangement just under the staircase makes it look even more special. 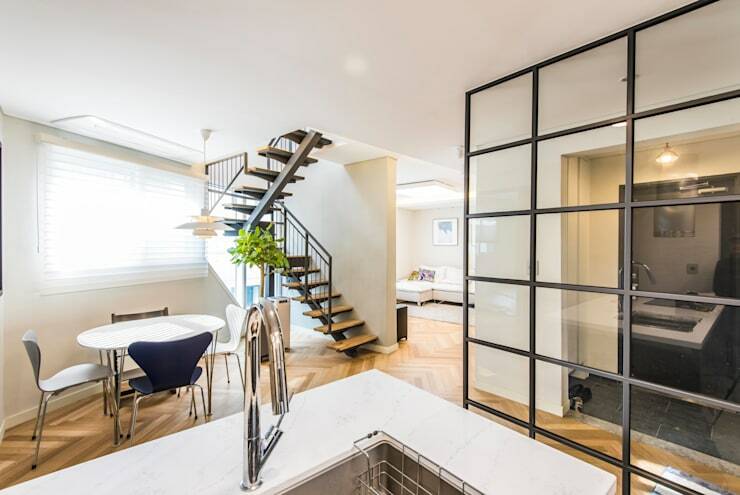 It is not uncommon to choose glass or acrylic for building the steps nowadays. You may also install glass railings and let the rest of the space merge seamlessly with the corner where the stairway has been installed. This is another sterling example of a staircase that has been designed by combining different materials. Wooden steps of the staircase mixes well with the shiny metallic railing. 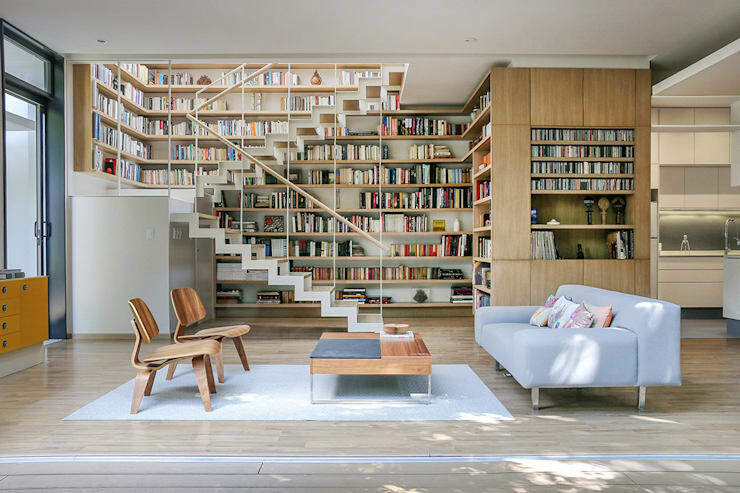 The design of this staircase makes it look almost floating in a spacious hall. It has been built combining glass and metal. Along with lighting fixtures, couple of large ceramic vases has been used to beautify the surrounding space. Warm wood texture adds pizzazz in this small hallway soaked in cool blue tone. The texture of the wood blends well with the other natural wooden features of the hallway such as the doors. 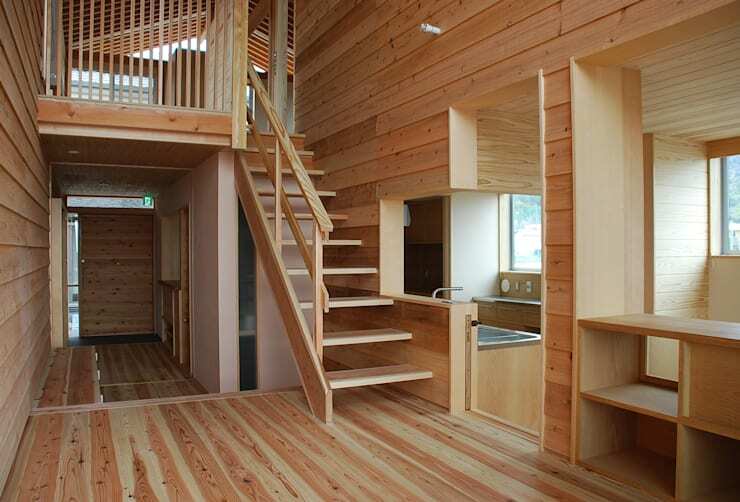 The design is also suitable for a small home. Single stringer staircases are an apt choice for contemporary duplex or triplex apartments as well as small homes. They create a sense of space and lightness which comes as an added boon for houses cramped for space. You may install spiral staircases alongside your main stairway or without any accompaniment for other type of stair designs. 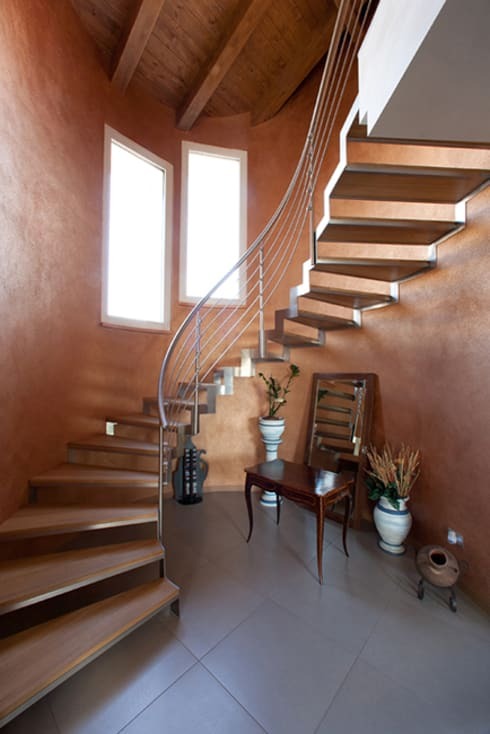 Spiral staircases made of wrought iron, concrete and acrylic can be a great addition to any home. As you can easily install them in any of the corners of your home, they are especially suited to small spaces. 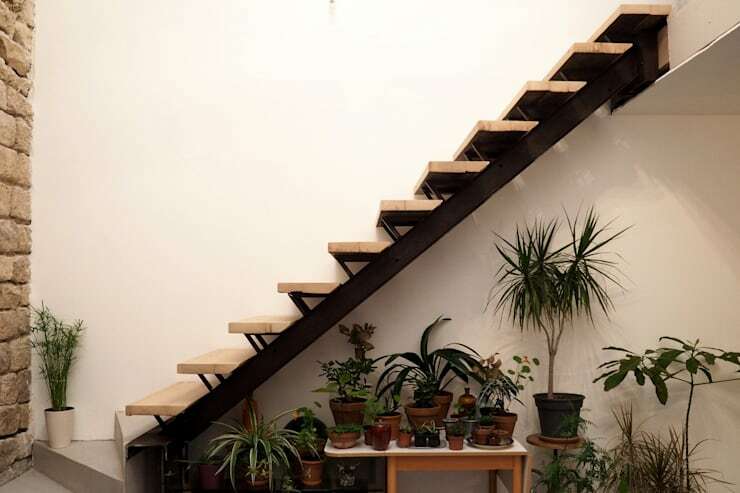 The greenery underneath the stairway adds vibrancy and warmth in the hallway of this house. The wooden steps also contribute to its beauty. This is a fine example of a double stringer staircase. We have already shown you some fantastic examples of staircases for small homes. This is another one of those which you can easily integrate in your home. Wooden steps and classical balusters give it a special look. 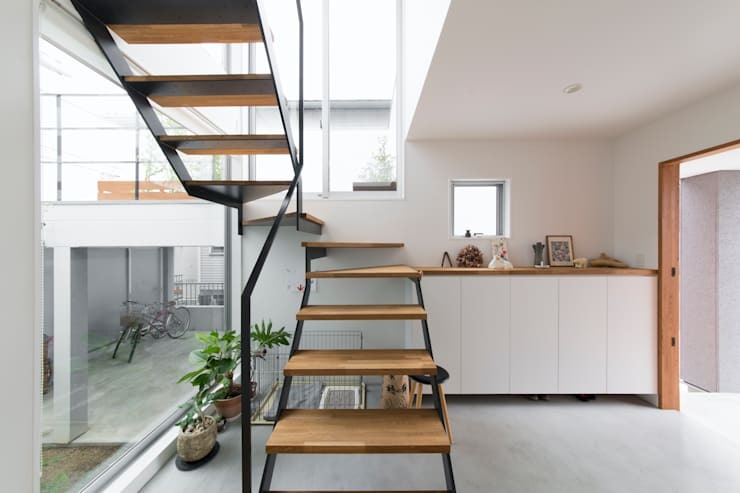 Check out these staircase designs specifically suitable for small homes. Which of these stairway designs do you find most enchanting?